As an addendum to this work, I, Lord British, would like to speak of the Quest of the Avatar mentioned in these pages. The Quest of the Avatar is the search for a new standard, a new vision of life for which out people may strive. We seek the person who can become a shining example of our nation and guides us from the Age of Darkness into the Age of Light. We have sent this message our to the farthest reaches of the known universe, indeed, we have even spoken across the void of time. Is there One who can complete the Quest of the Avatar? Many have tried already, and have met with partial success, becoming enlightened in one or more of the Eight Virtues of the Avatar - but none have yet attained the true state of being an Avatar. The secrets of the Avatar are buried deep in the hearts of both our people and the land in which we dwell. The search will be arduous and the One who shall succeed must be able to assemble all the parts of the great mystery in order to solve the Quest. Gaze upon the device portrayed on the facing page of this tome. Learn it well, for when thou dost gaze upon it again then shall thy life's quest be revealed. 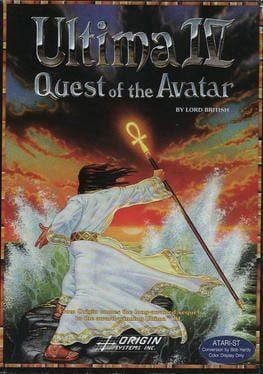 Ultima IV: Quest of the Avatar is available from 4.99 to 4.99 from 1 shops.